WhatsApp has come up with many unique features all these days to give an privacy related best experience to the users all the way. messaging app has now introduced new feature for both Android and iOS users. The new feature called Predicted Upload will make it easier and faster for users to upload and send images to the contacts. WABetaInfo has predicted upload feature will start uploading an image to the server in advance, predicting the images that a user is likely to send. When a user selects the photos to send, then before sending them they will be given an option to edit the pictures in WhatsApp, where they will have the ability to add effects to the images before sending them. Presuming that users don't add any effects to the shots, the unedited image is uploaded to the WhatsApp server before user actually tap on the send button. The image is not sent to the WhatsApp contact but just uploaded on the server. With the above mentioned feature Whatsapp is planning to save more time of the user when sending images as the upload to server starts before a user has tapped on send. 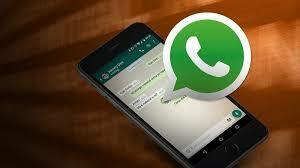 Whatsapp new feature on version 2.18.61 on iOS and version 2.18.156 on Android.